Aaah – Mary Engelbreit. What’s not to love about her vibrant, sweet illustrations? 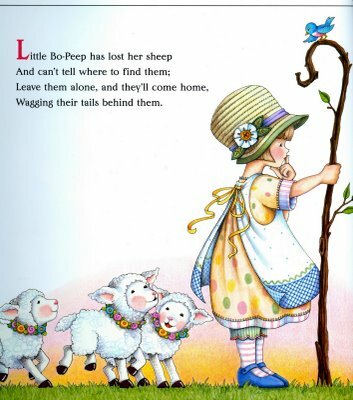 In recent years you might have come across copies of her “Nursery Tales” and “Mother Goose: 100 Best Loved Verses” publications. Either book makes for a perfect gift for a young child. You just might want to purchase a second copy for yourself. Mary’s work first started garnering attention in the 1990s. Back in the day – when people still sent cards just to say “hello” – you might have received one of Mary’s cards in the mail. She produces thoughtful cards with memorable expressions, eye popping illustrations and matching envelopes. Much of her work is influenced by illustrations from the 1920s, 30s and 40s that featured quotes in borders. 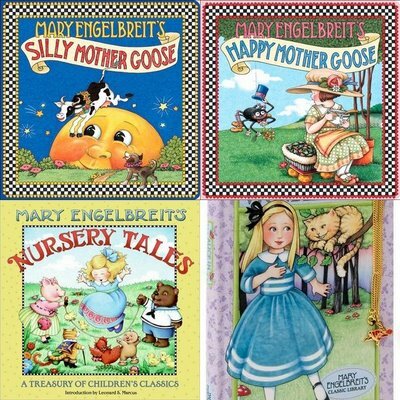 Englebreit also credits the inspiration she gets from her “idyllic and wonderful childhood”. From the late 1990s to 2009, her funky, eclectic interior designs could be seen in the Home Companion magazine. The magazine reflected Mary’s philosophy that “it’s your house and it should be filled with the things and the colors that make you feel good.” Sadly the magazine was closed in the summer of 2009 due to a lack of advertising caused by the recession. At the time Mary wrote about her dream of resurrecting the publication. “We WILL find a way – this miserable economy can’t last forever. Anyway, even if times are tough, we still need to see magical things, right? We still need to know there are people out there producing fantastic things, creating warm and cozy places to live and providing us with the inspiration we need to keep going, for crying out loud! I mean, I love House Beautiful, but I can’t make one magazine last all month – we need more! We need variety! We need Home Companion!” Her website still features the many projects related to her work. If you want to bring Mary’s work onto your bookshelves or into your homes, there’s an almost endless array of possibilities. Mary’s work is a folksy contrast to Martha Stewart and has a healthy dash of sugar and spice that is oh so nice. I love Mary’s work and would like to visit her store in St Louis I live in Iowa.I wish I could work in her store she is fabulous.